For those just tuning in :) here’s an update on what is going on with Aaron’s appearance at Wizard World Chicago Comic Con this weekend. Due to filming of HELLCATS on Saturday, Aaron will only be able to appear at the con on Sunday. 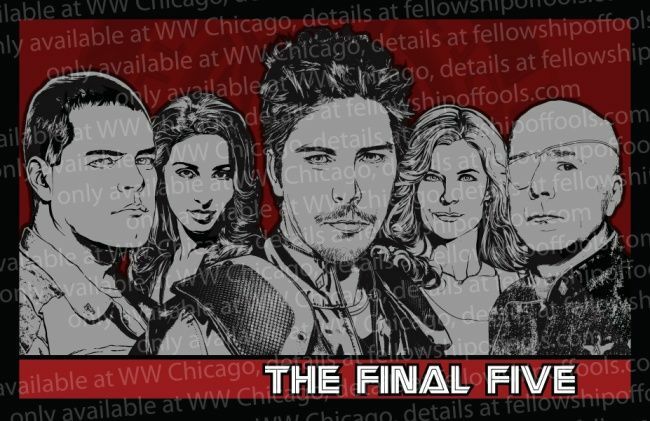 There will be a Limited Edition Final Five print available for purchase at the con. These prints were going to be at Aaron’s table. In Aaron’s absence on Friday and Saturday you can pick up the print from Froggy Photos. If there are any prints left after Saturday, they will be at Aaron’s table on Sunday.